During the then-Conservative Government in 2012, the government made $165-million-dollar budget cuts to Aboriginal and Northern Affairs Canada (as it was then known). Some of these cuts led to decreased funding for health-related research programs, like the work at National Aboriginal Health Organization (“NAHO”). 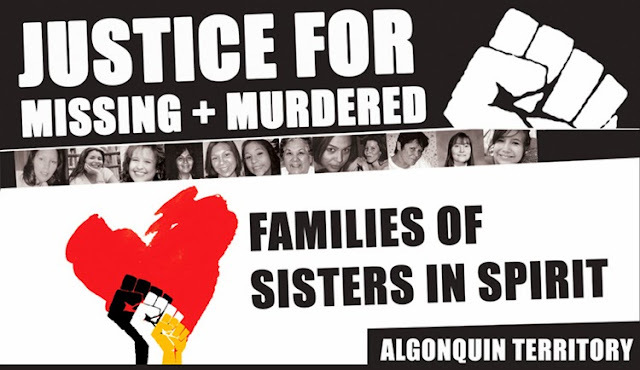 The last fact sheet posted to NAHO’s site, which is scheduled to shut down in December 2017 indicates that Indigenous people “account for 16.4 per cent of AIDS cases in Canada and 7.5 per cent of HIV infections.” For Indigenous women, the picture is even more alarming: Indigenous women making up 47.3 per cent of HIV-positive test reports; meanwhile, non-Indigenous women making up 20.5 per cent of the same reports. For the past 25 plus years, Kecia Larkin has been one of those Indigenous women living with HIV. And, the morning that I call Kecia Larkin, she is in British Columbia; she’s just making breakfast. In April 2016, Kecia won an award for her work on educating others communities about the realities of Indigenous women living with HIV. But Kecia has always been an activist. Kecia’s mother was deeply involved with the Red Power movement, American Indian Movement, and she remembers her mother wanting to put some roots down after attending protest after protest, all related to land and sovereignty. “We were political,” she explains. “We never felt like it (Alberta) was home.” She describes her family as loving and attentive, but poor: The number of First Nations Children living in poverty is fifty percent. To address these barriers, Poitras says to me that it is important to learn about the history of Indigenous peoples in Canada, including the intergenerational effects of Indian Residential Schools. Or, “connecting the dots” as Poitras calls it.